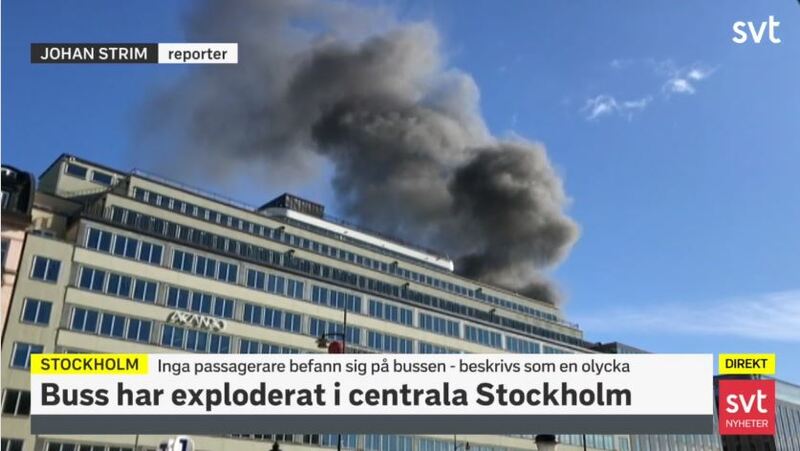 Sweden: Bus explodes in Stockholm in front of station……(Sounded like a bomb) – The Tundra Tabloids……. 13:02: One man injured, bus was empty. 13:09 – According to the police, the bus has probably hit the pontoons which hang down as height warning in the mouth of the tunnel. 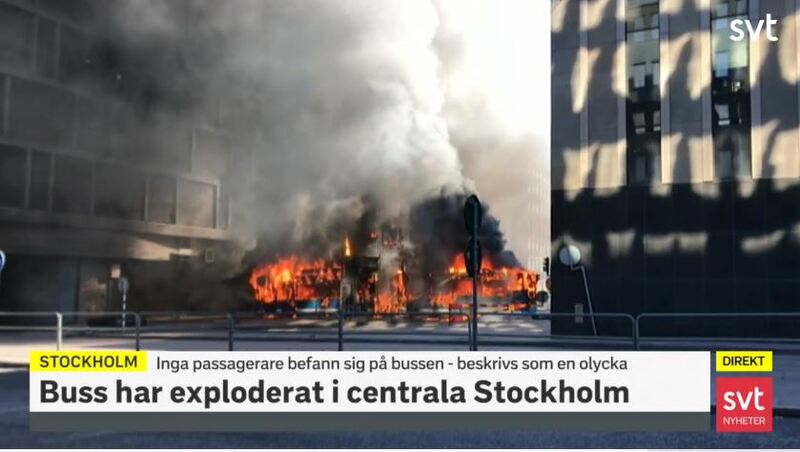 “In some way we think the bus has been damaged, that it has a gas tube with fuel that may have hit the tunnel opening and then it has started to burn and explode,” says Carina Skagerlind. 15:40 – Bus was using bio-gas it leaked then exploded. 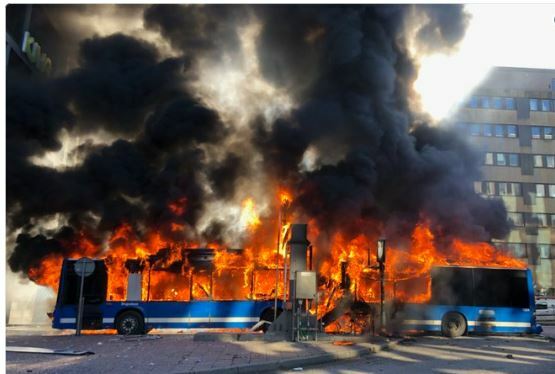 According to the Swedish Transport Administration, a bus burns at Tegelbacken in City. Images from the site show a large smoke cloud. The explosion must have occurred at the entrance to the Klaratunnel. Images from the site show a large smoke cloud. Previous Post Previous Post Greenpeace Founder Patrick Moore rips “Global Warming” as hoax, pushed by corrupt scientists hooked on government grants……. Next Post Next Post Manfred Gerstenfeld: The Word “Jew” as a curse in Europe……..